Details: The project is coming up at Vaishnodevi Circle, SG Highway & Surroundings spread across 4 acre of land. 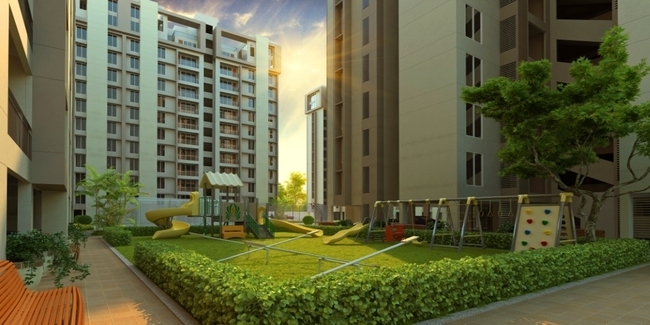 The project offers 9 towers with G+14 floors, having 460 units of 2, 3 & 4 BHK apartments. The amenities include yoga/meditation area, multipurpose court, swimming pool, paved compound, children's play area, rain water harvesting, conference room, property staff, wi-fi connectivity, conference room, etc. Near Mann Party Plot, Bodakdev, Ahmedabad - 59, Gujarat.